Dorothy Miller Richardson spent her childhood and youth in secluded surroundings in late Victorian England. Her family was genteel but impoverished. Her schooling ended at age 17 when she had to start earning a living. She became a governess and teacher. After her mother's death in 1895, Dorothy moved to London and went to work as a secretary/assistant to a Harley Street dentist. She began moving in avant-garde artistic and political circles, including the Bloomsbury Set. She wrote essays, poems, and short stories, which she first published in 1902, translations of other works from German and French, and worked as a freelance journalist. In 1917, she married artist Alan Elsden Odle, who was 15 years her junior and a distinctly Bohemian figure. Dorothy M. Richardson is best known for her ambitious, pioneering stream-of-consciousness novel Pilgrimage, published sequentially in separate volumes — she preferred to call them chapters — as Pointed Roofs (1915), Backwater (1916), Honeycomb (1917), The Tunnel (1919), Interim (1919), Deadlock (1921), Revolving Lights (1923), The Trap (1925), Oberland (1927), Dawn’s Left Hand (1931), Clear Horizon (1935). The last part, Dimple Hill, appeared in four volumes in 1938. 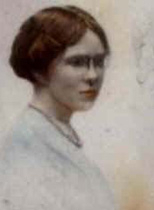 Dorothy Richardson called for equal rights for women, and the female point-of-view was the subject matter of her books. She called her fiction works "feminine prose." She died in poverty in 1957. Dorothy M. Richardson is currently considered a "single author." If one or more works are by a distinct, homonymous authors, go ahead and split the author. Dorothy M. Richardson is composed of 5 names. You can examine and separate out names.